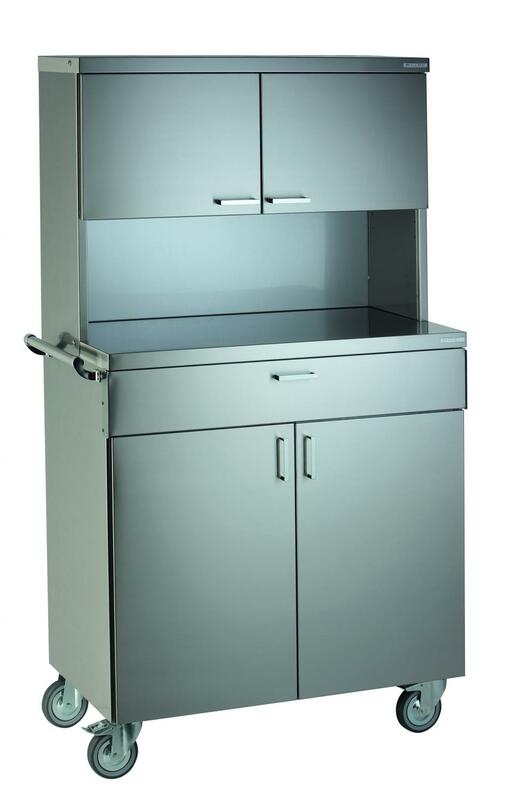 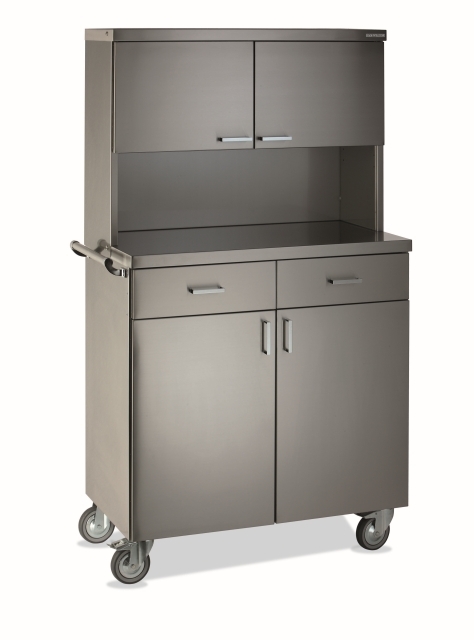 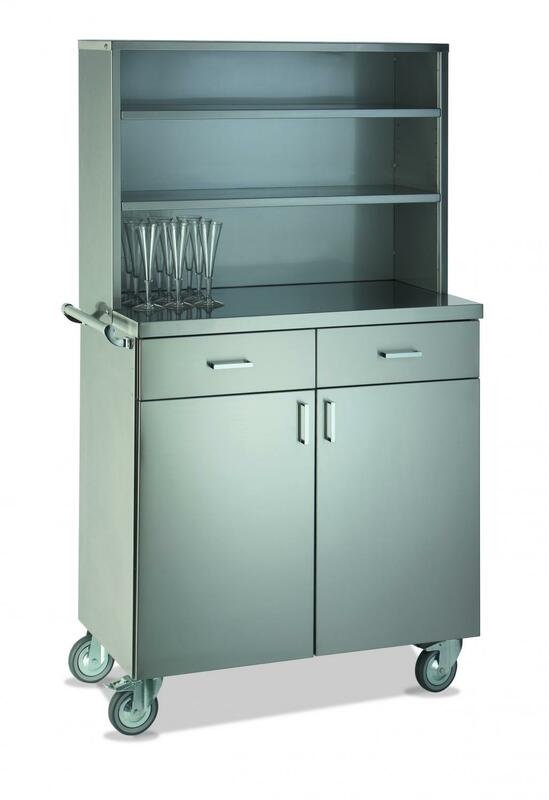 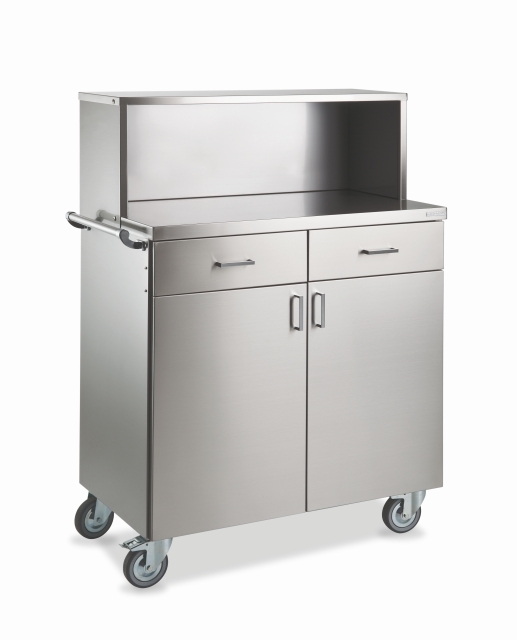 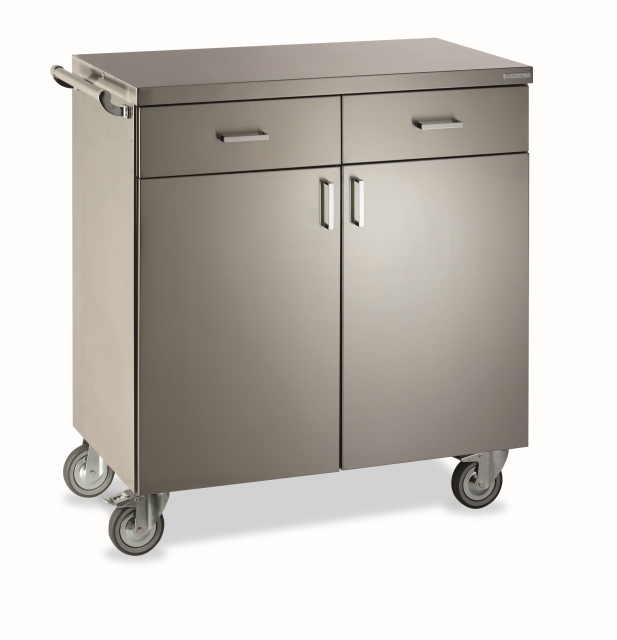 To optimize the outdoor service it is available a line of waiter stations built completely in stainless steel AISI 304. 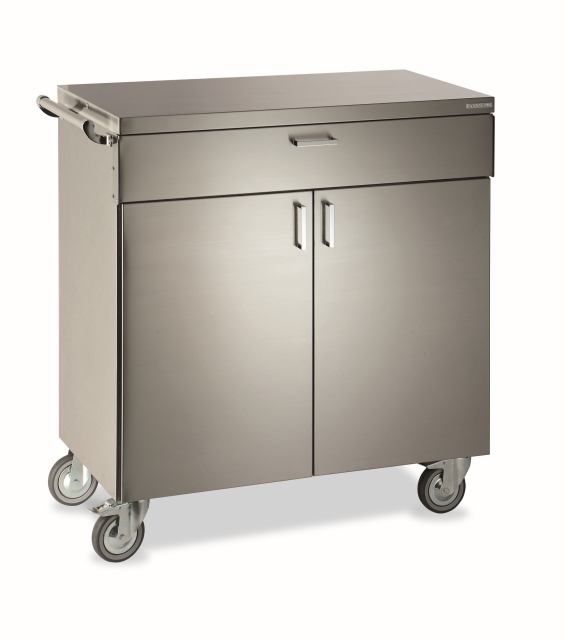 All the fornitures are mounted on wheels, 2 with brake, and have a practical pushing handle. 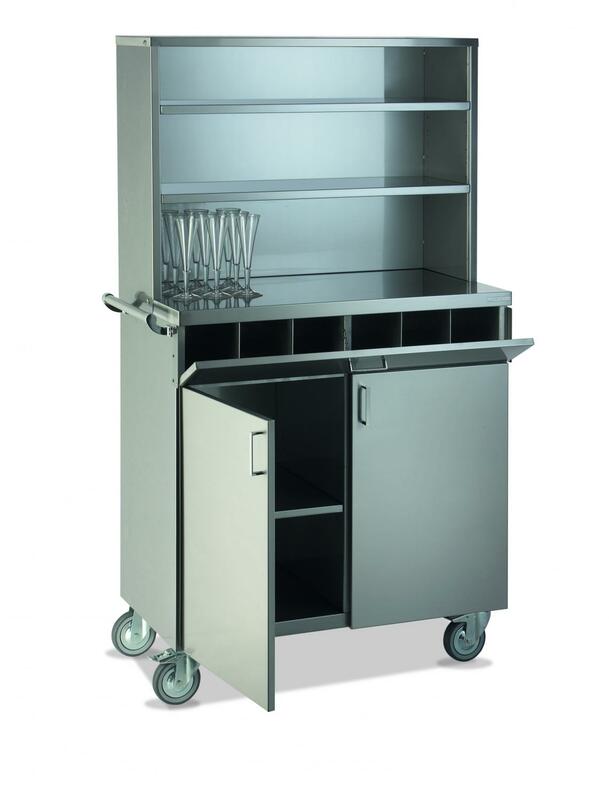 The line is composed by high models , with an open or closed upper part, and a lower model.